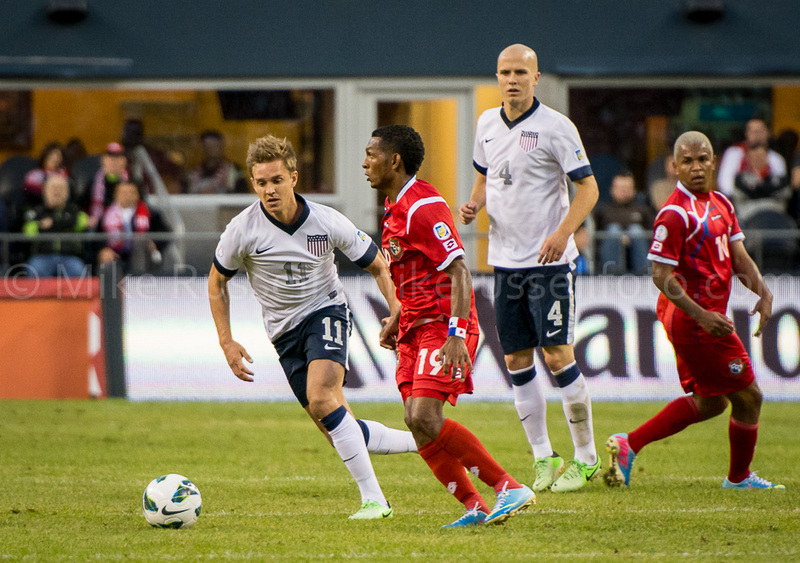 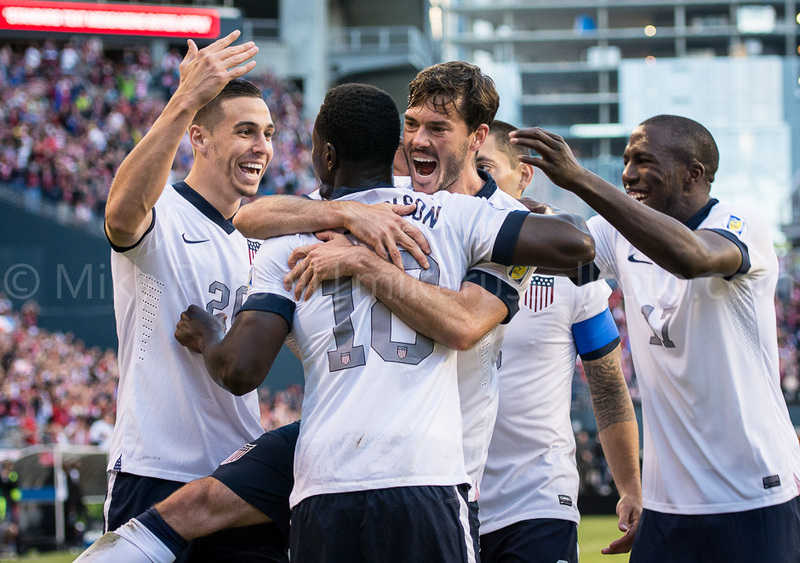 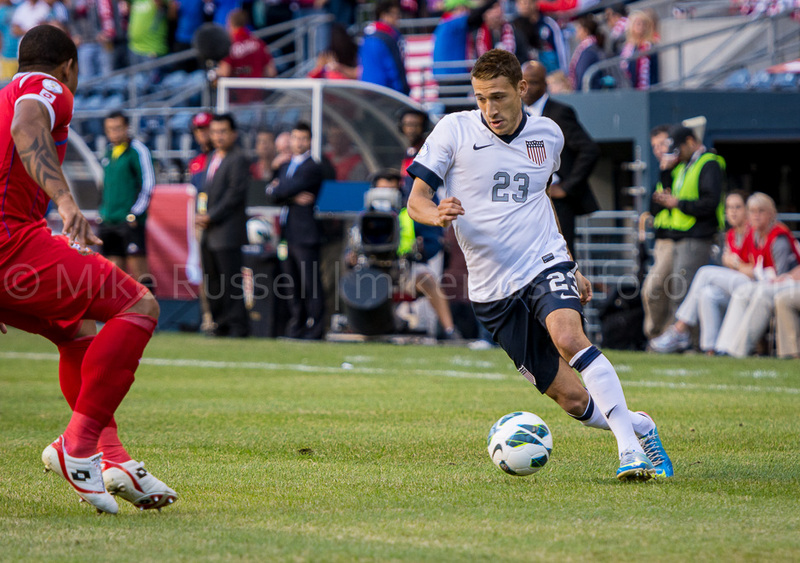 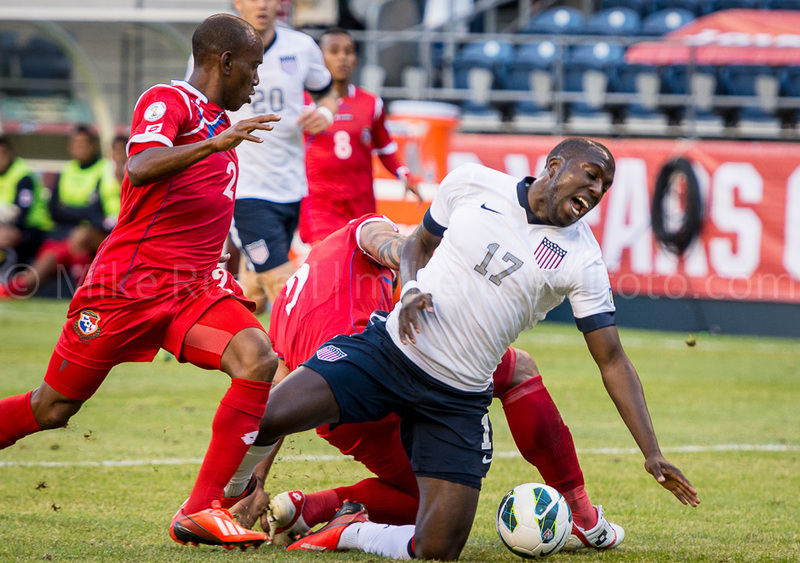 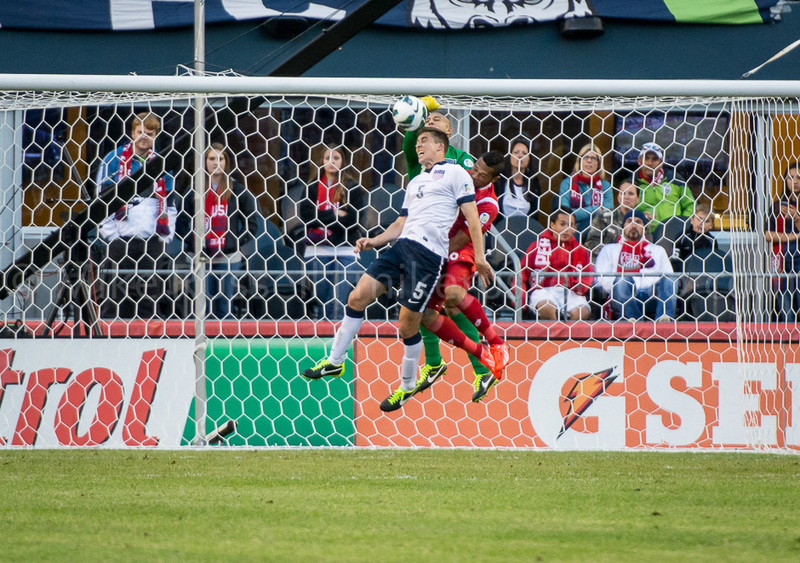 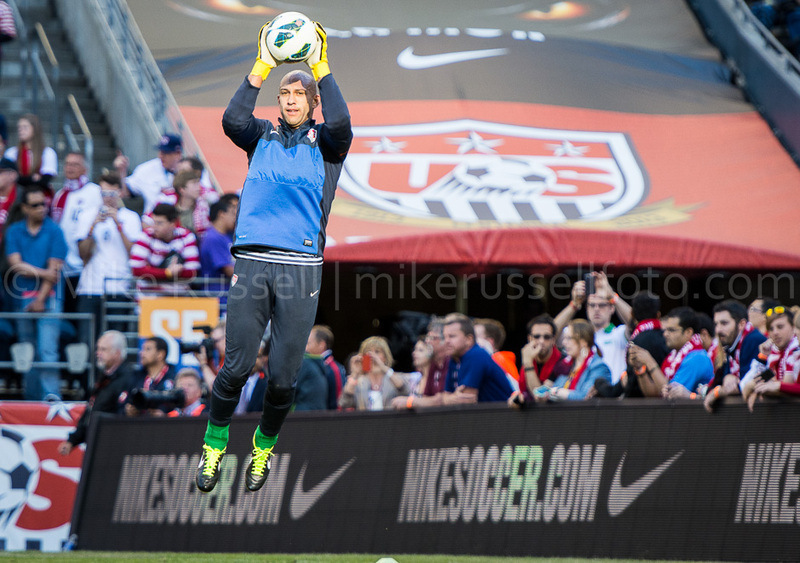 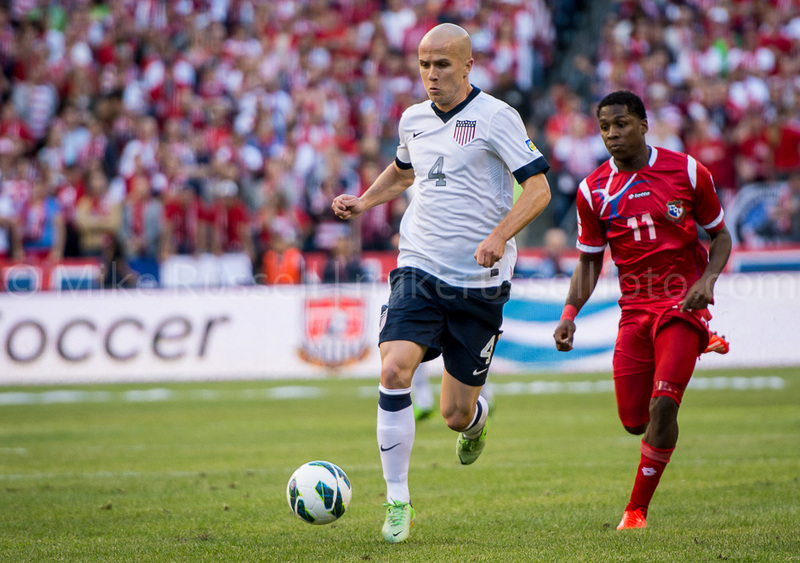 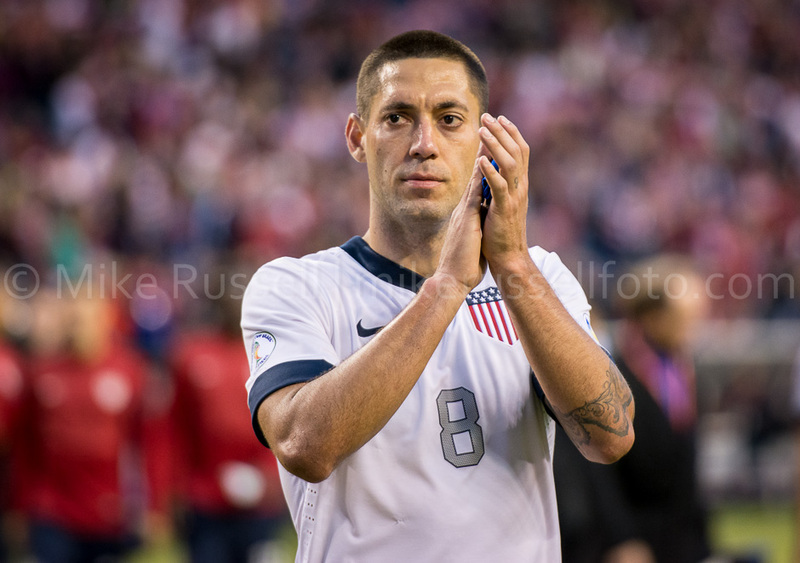 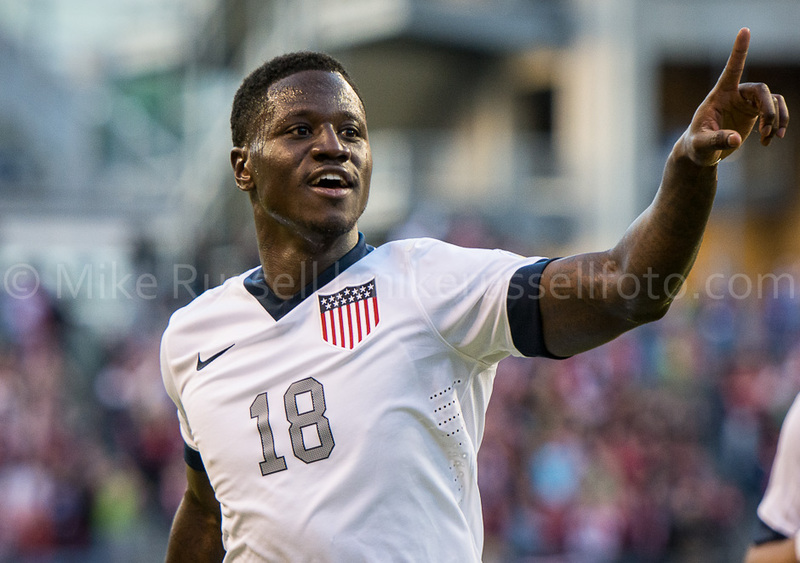 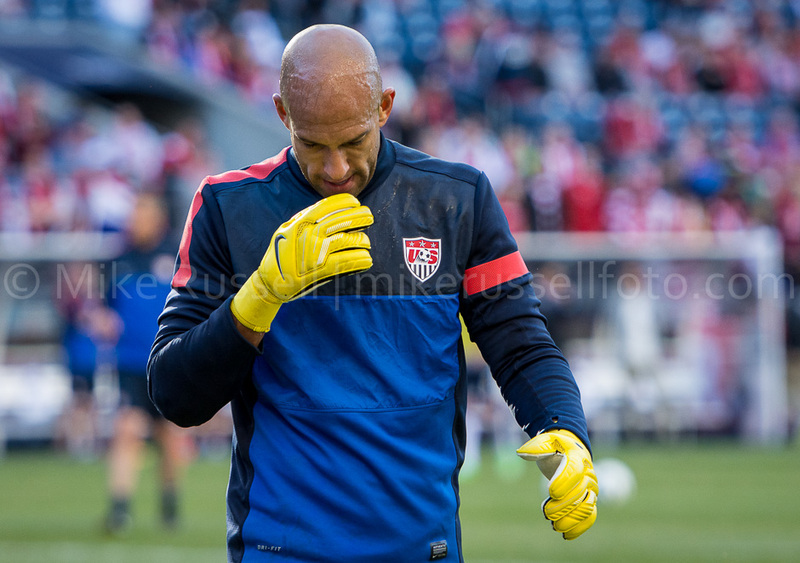 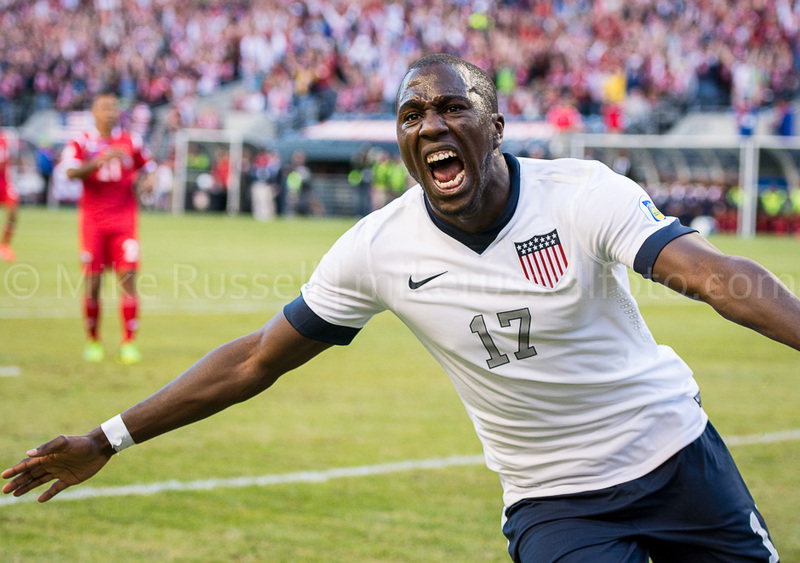 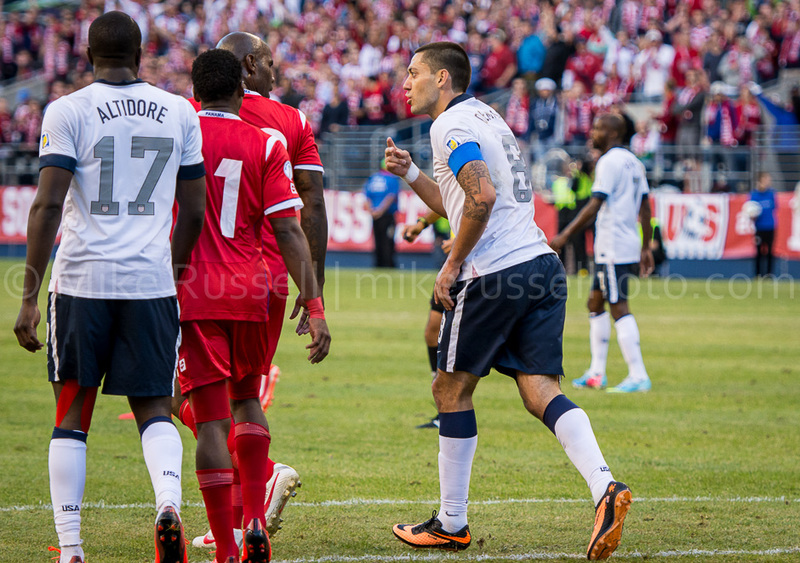 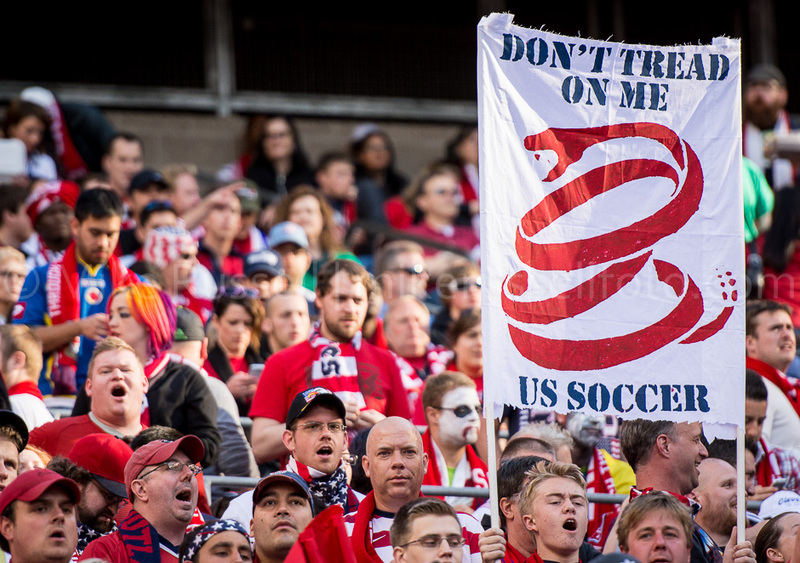 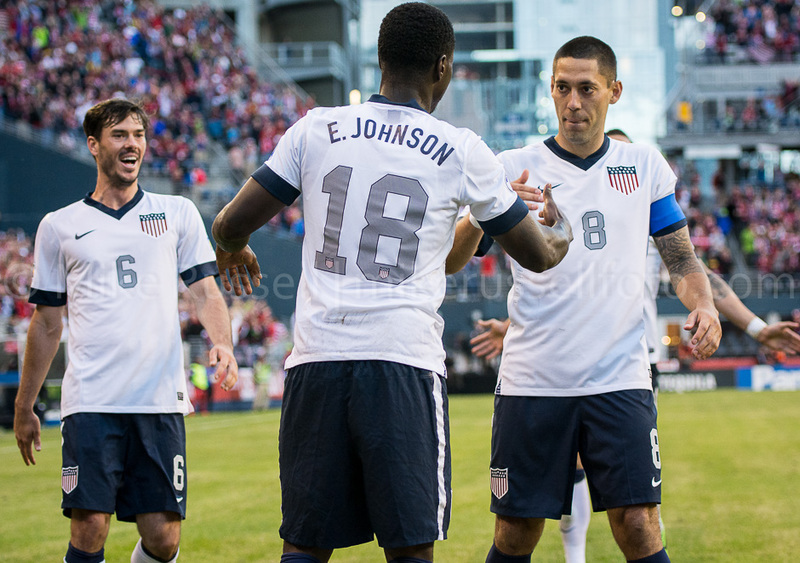 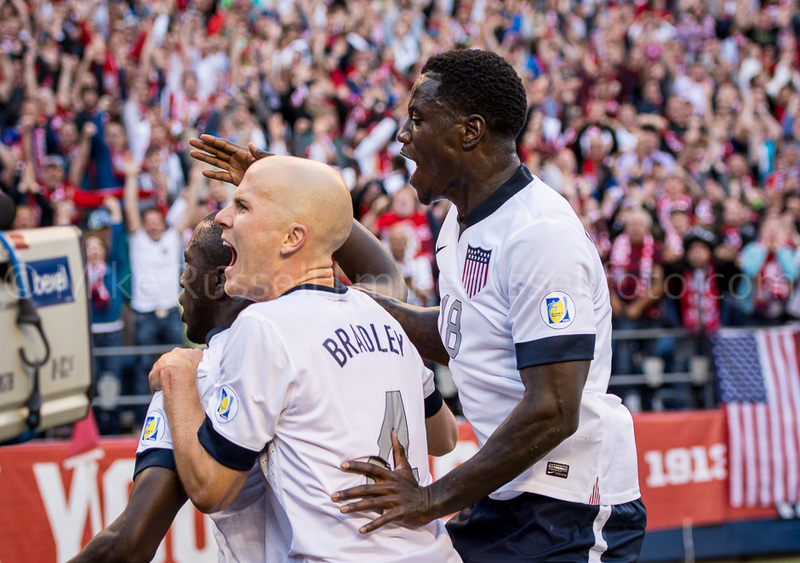 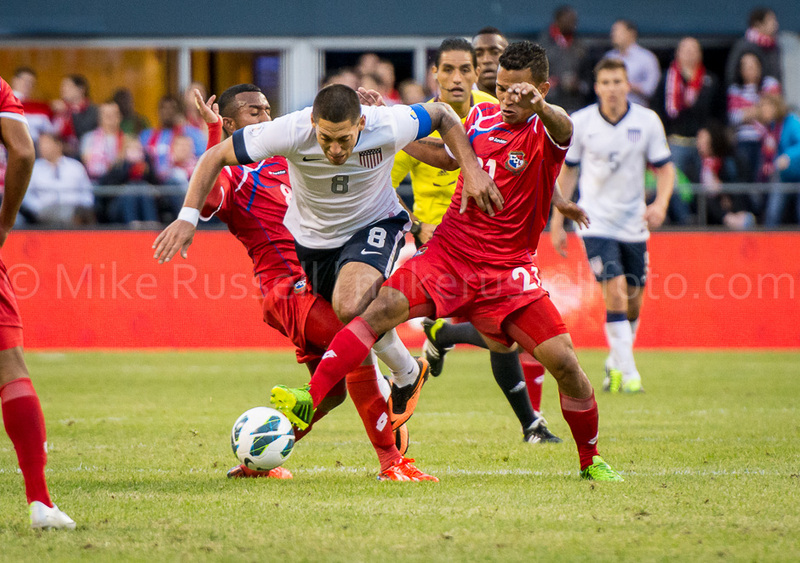 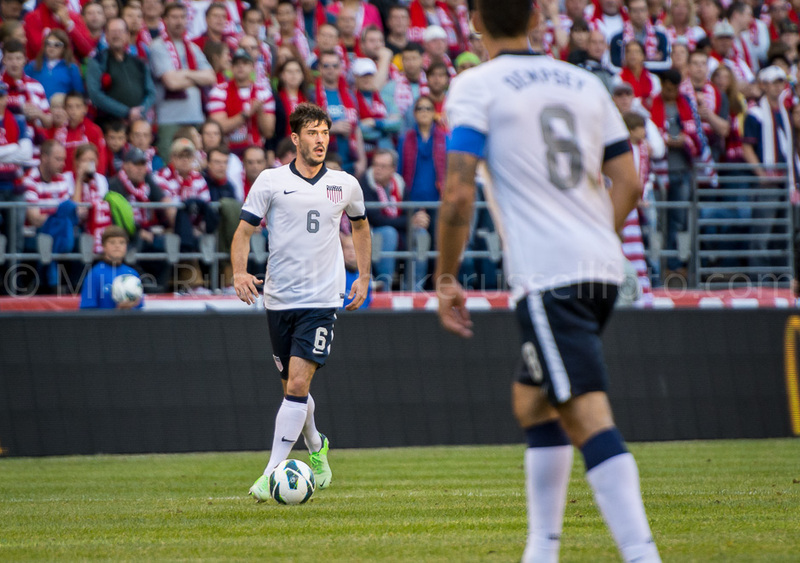 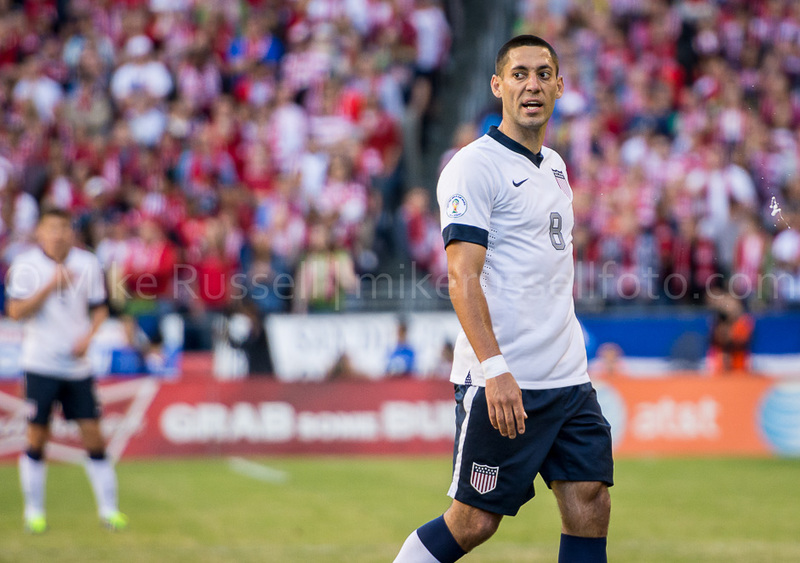 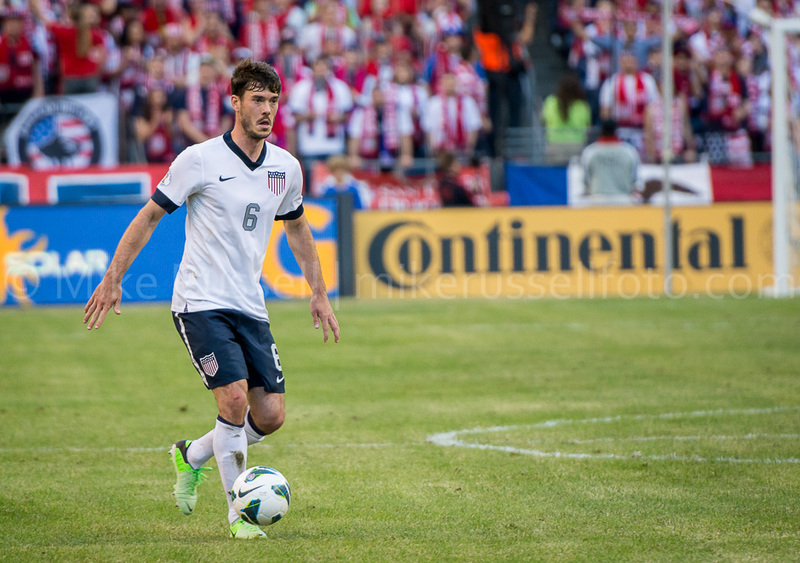 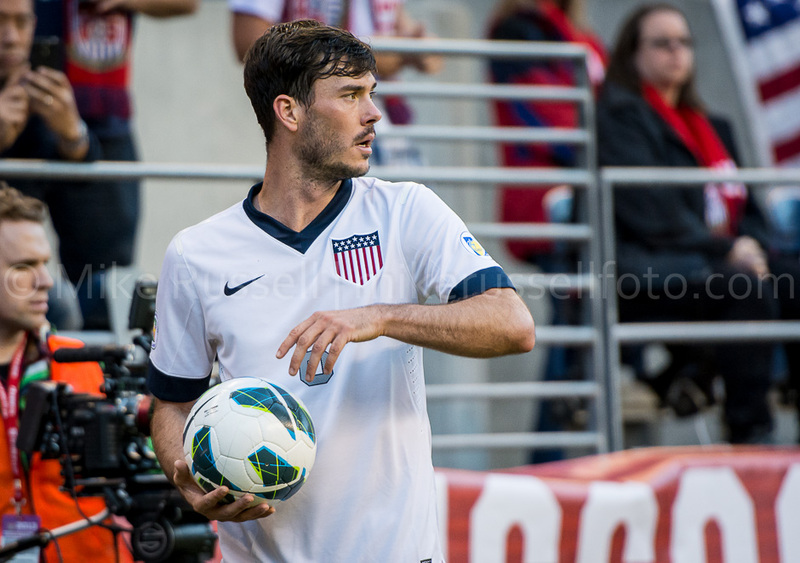 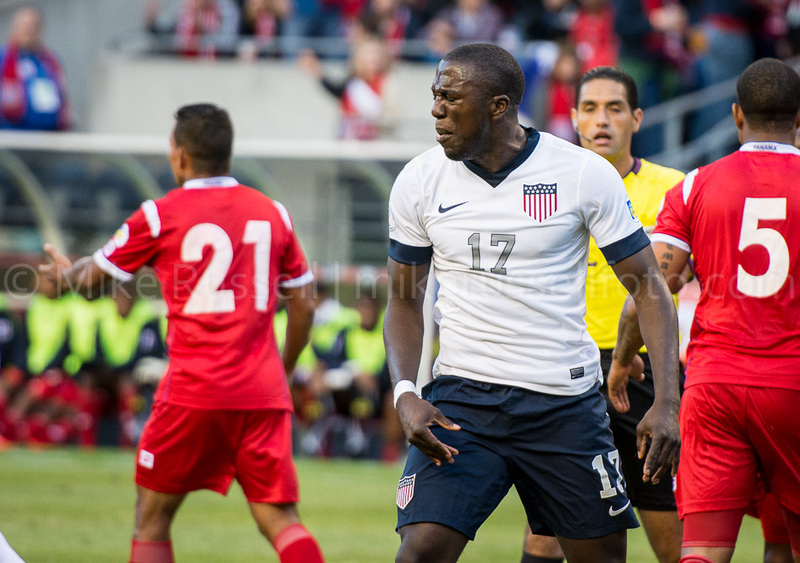 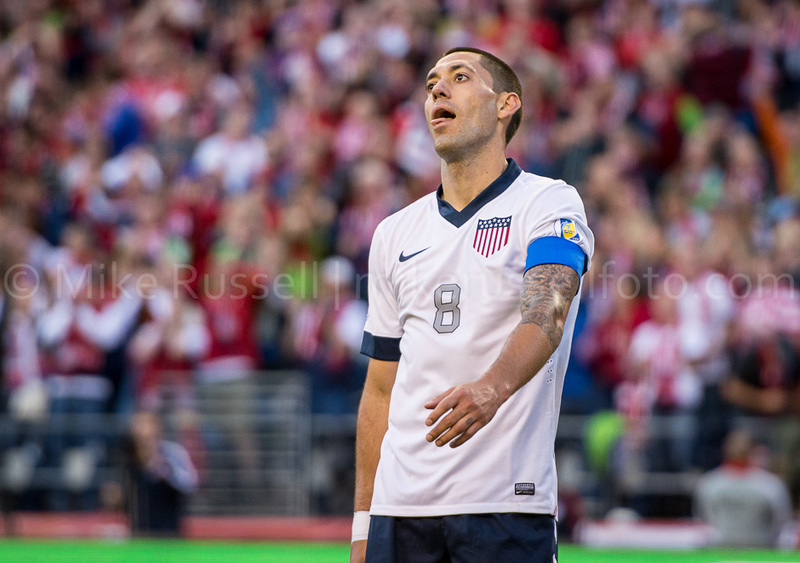 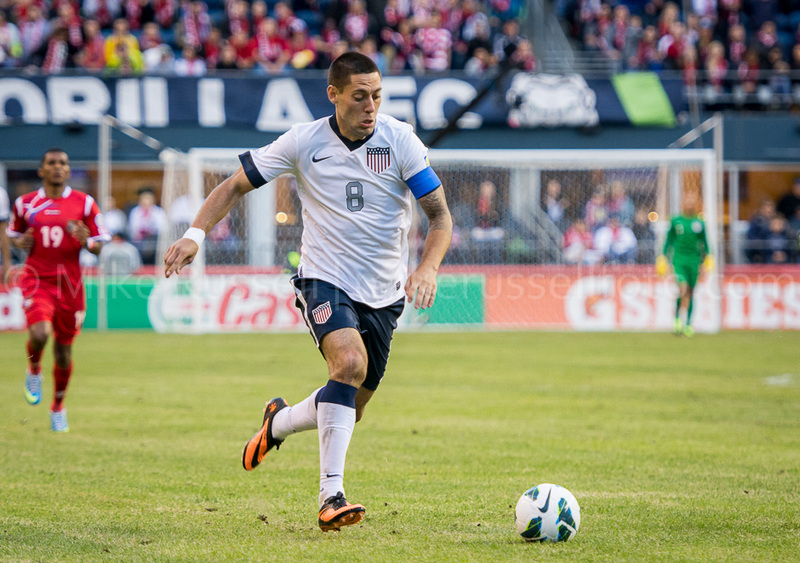 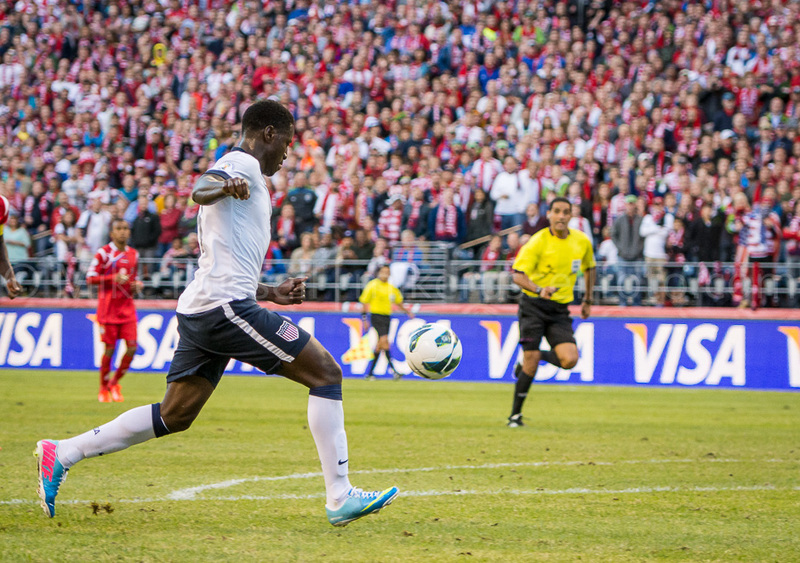 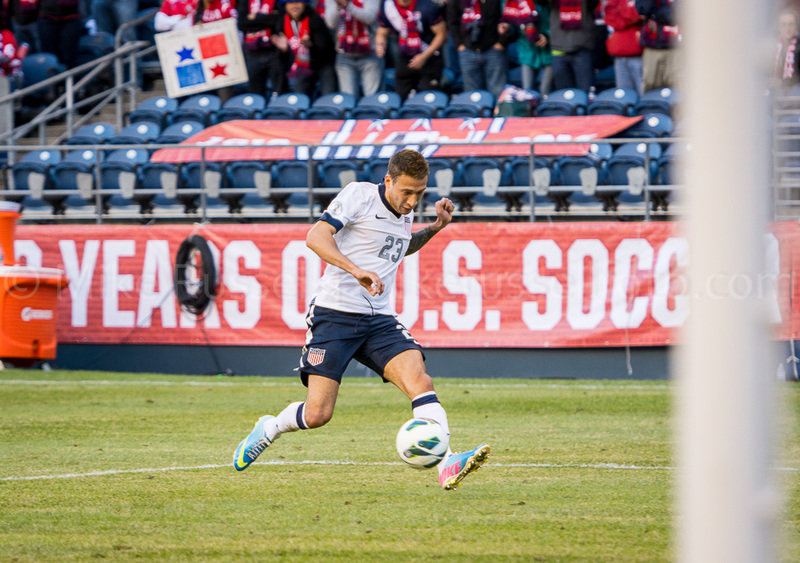 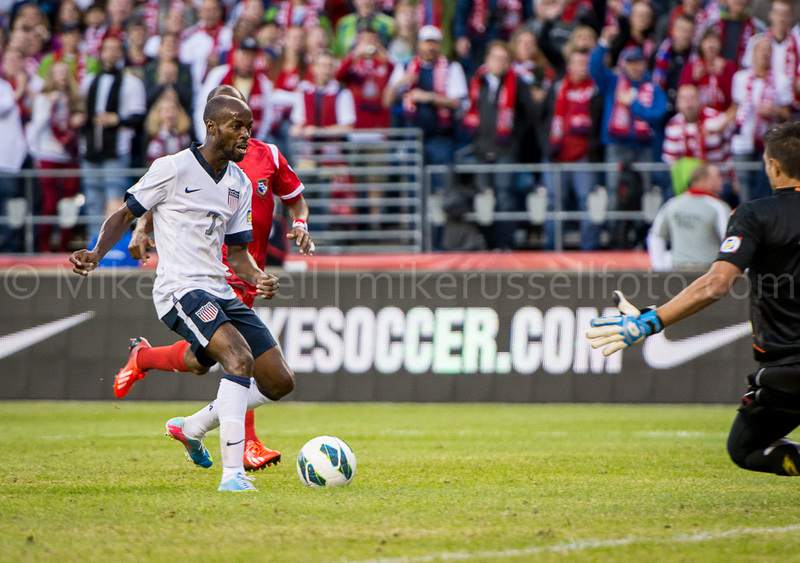 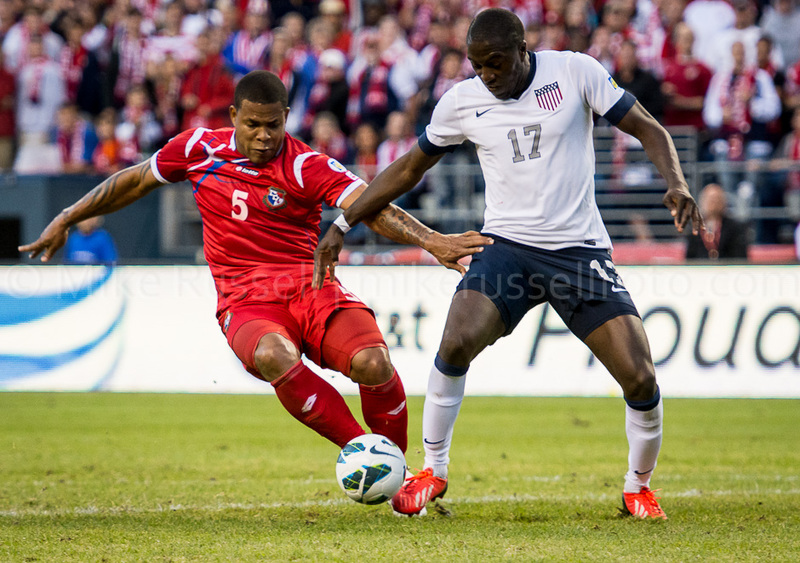 The US Men’s National Team took one step closer to qualifying for the 2014 World Cup in Brazil. 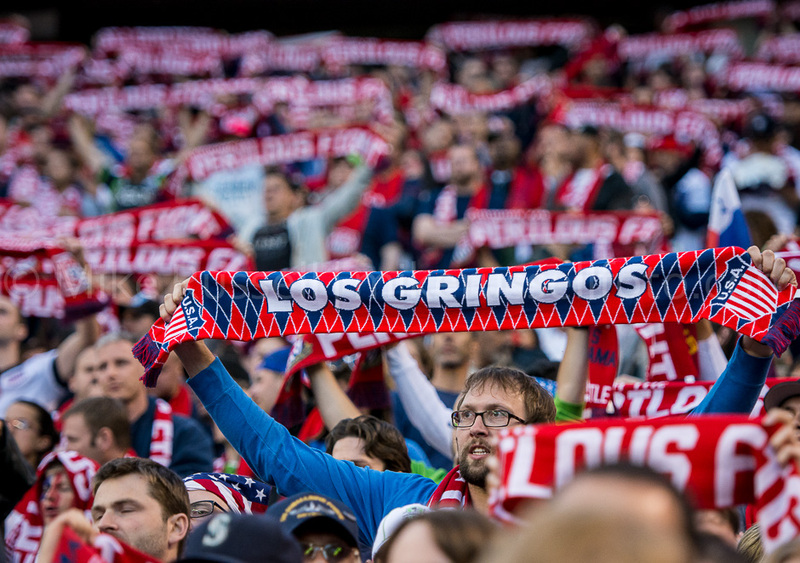 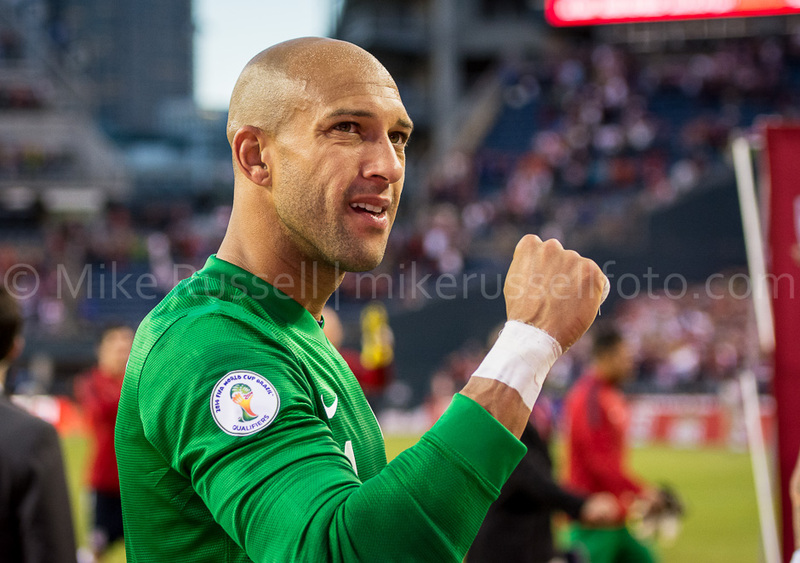 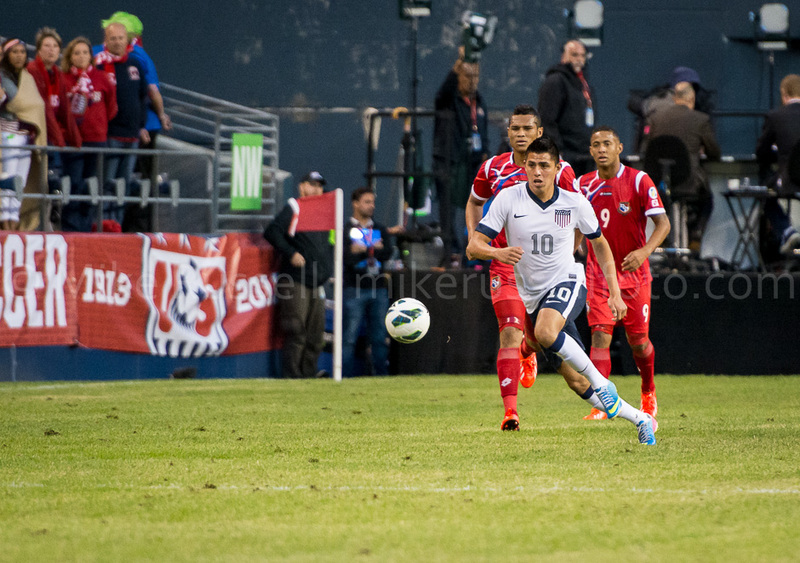 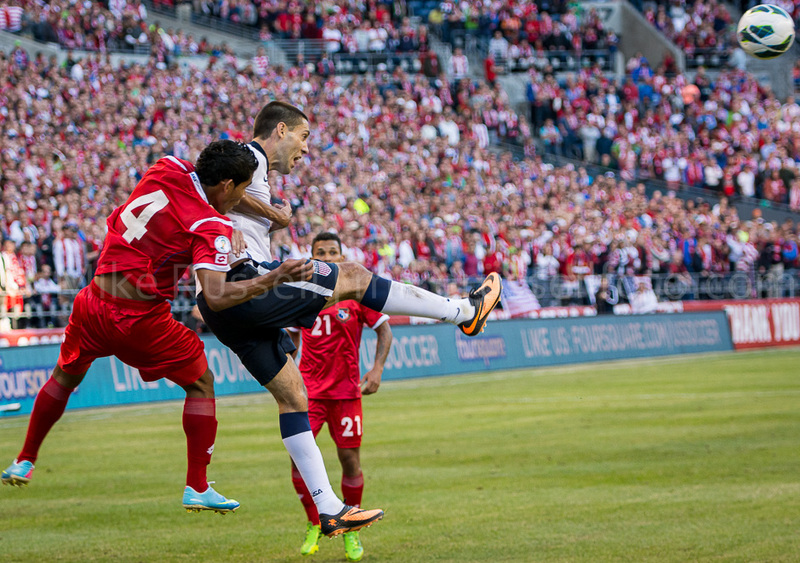 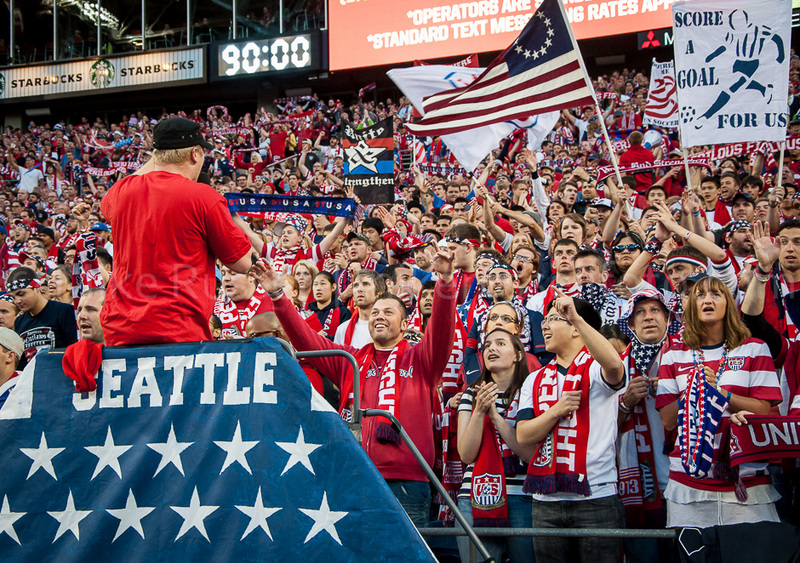 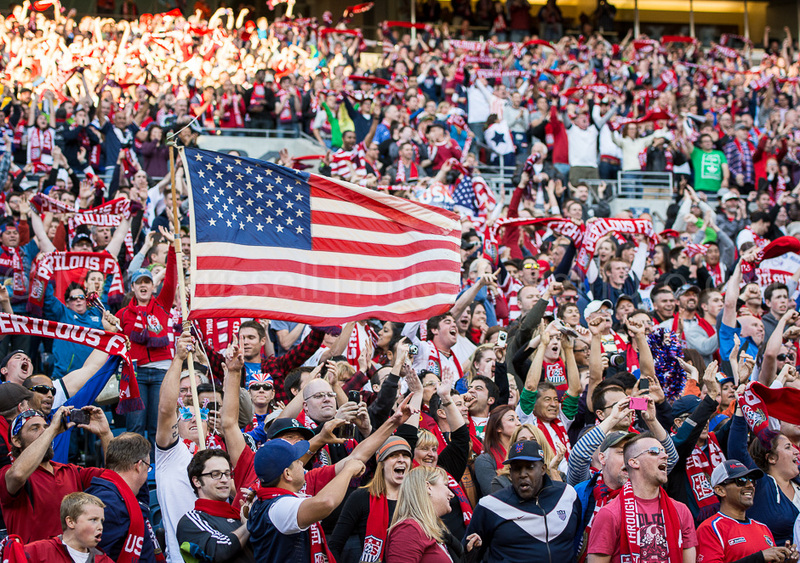 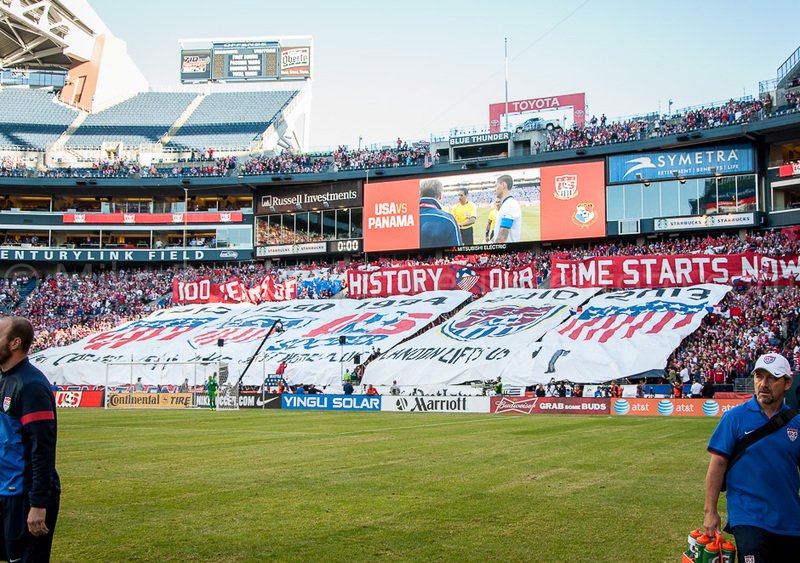 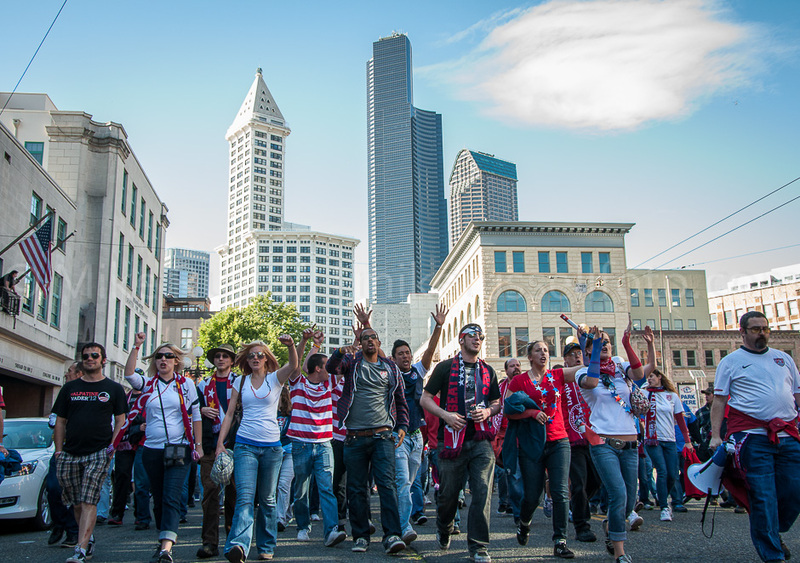 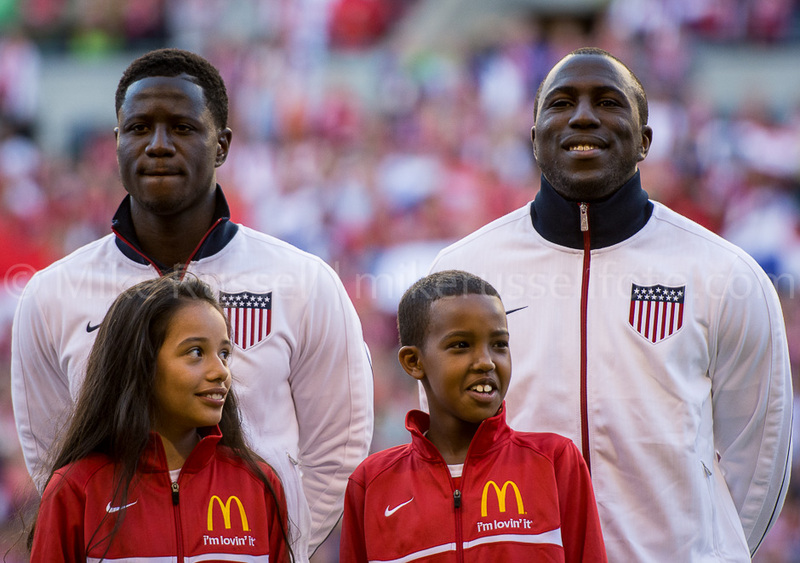 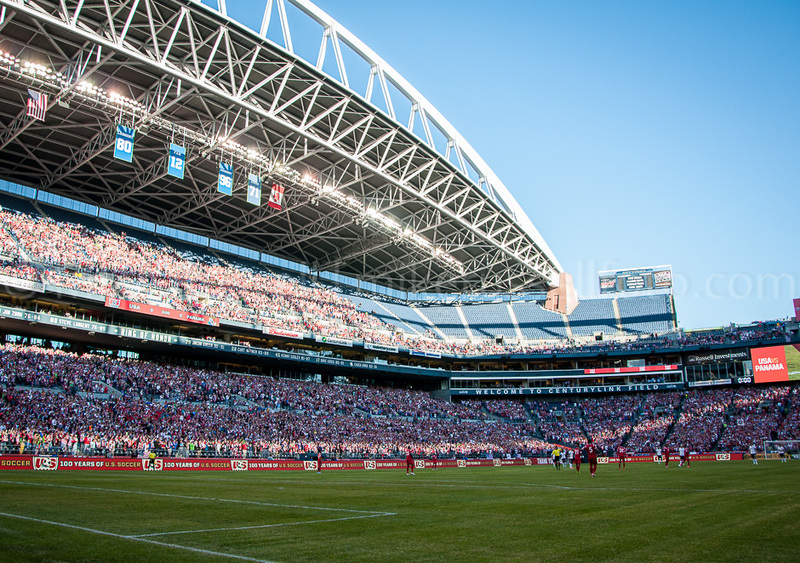 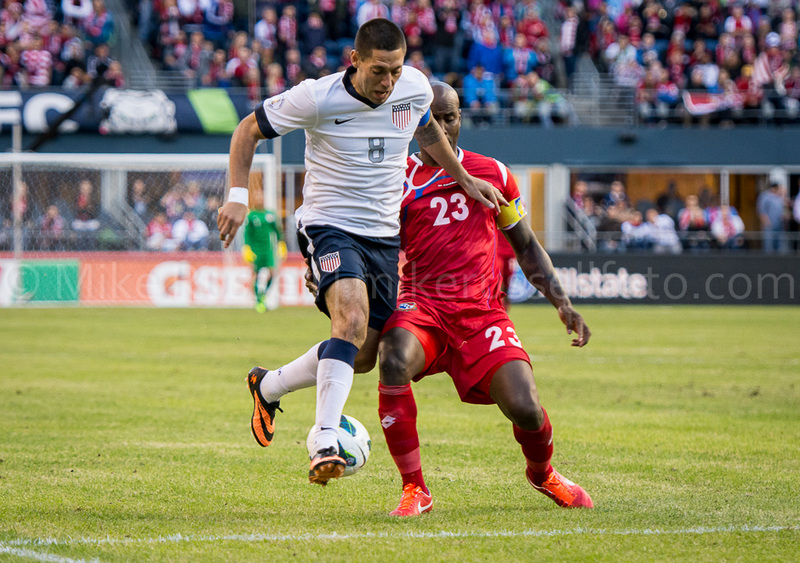 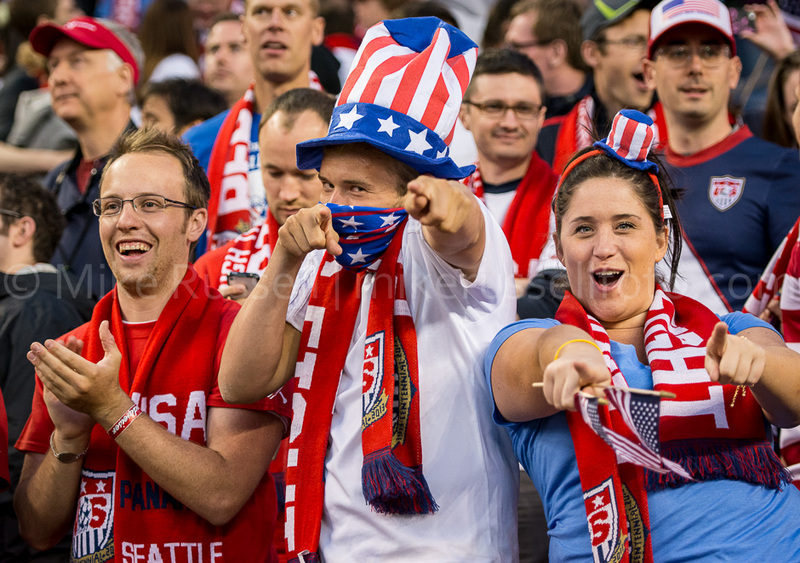 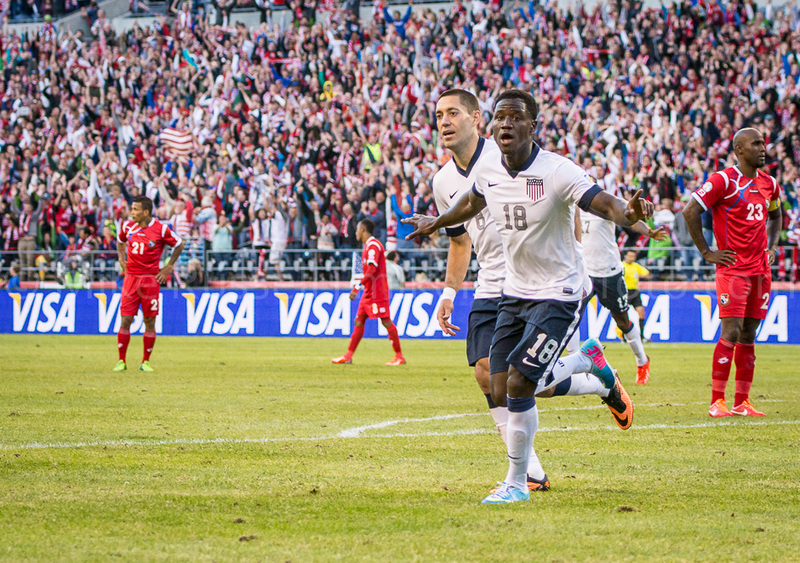 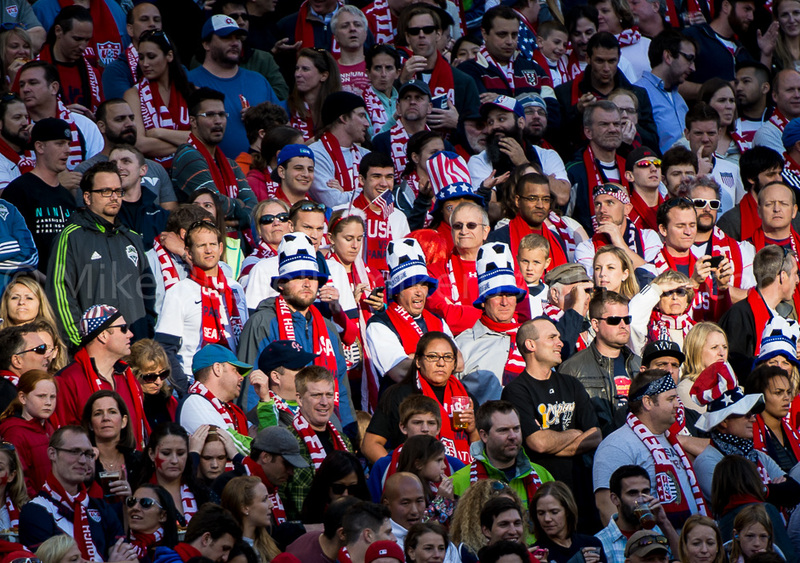 They defeated Panama 2-0 in front of over 40,000 in Seattle. 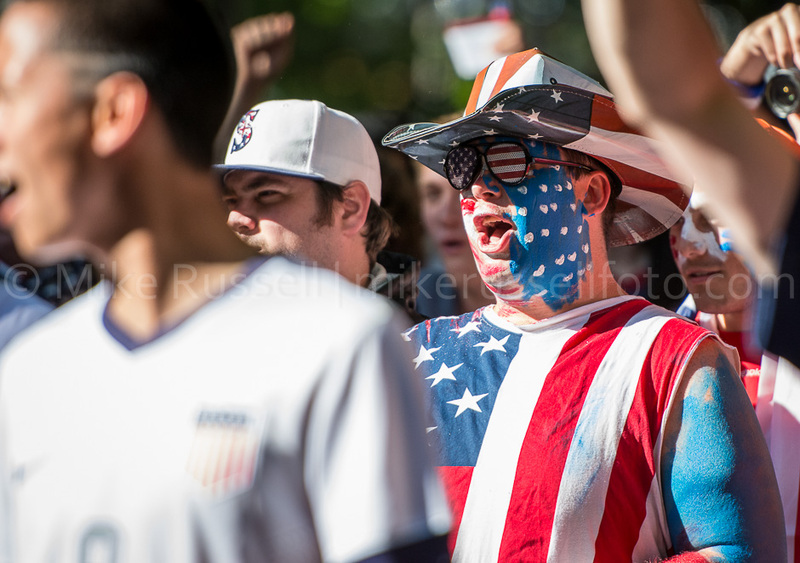 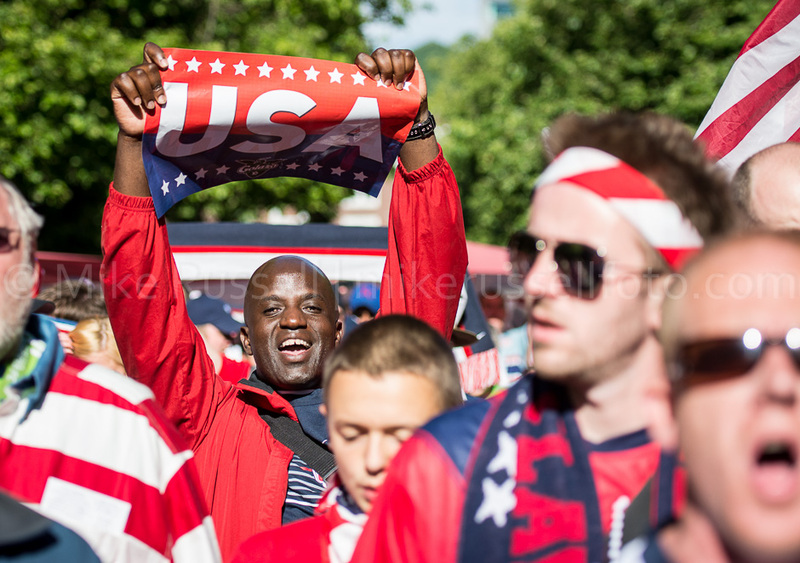 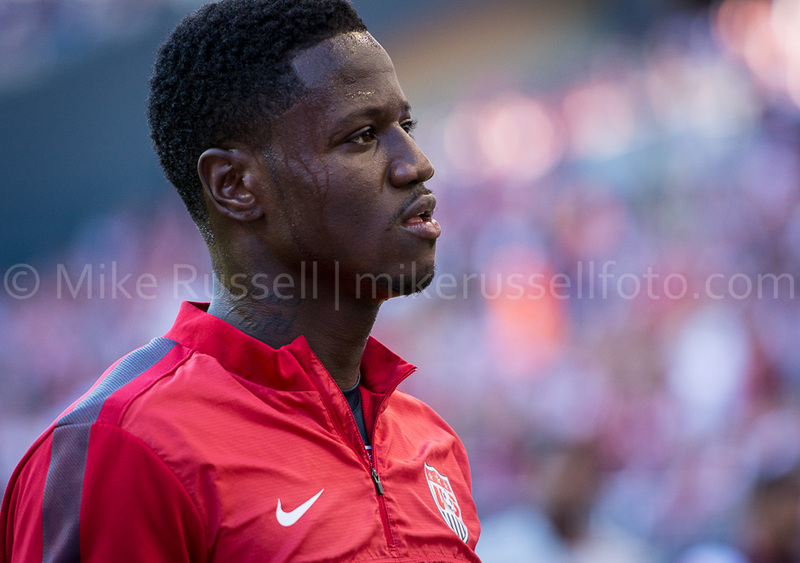 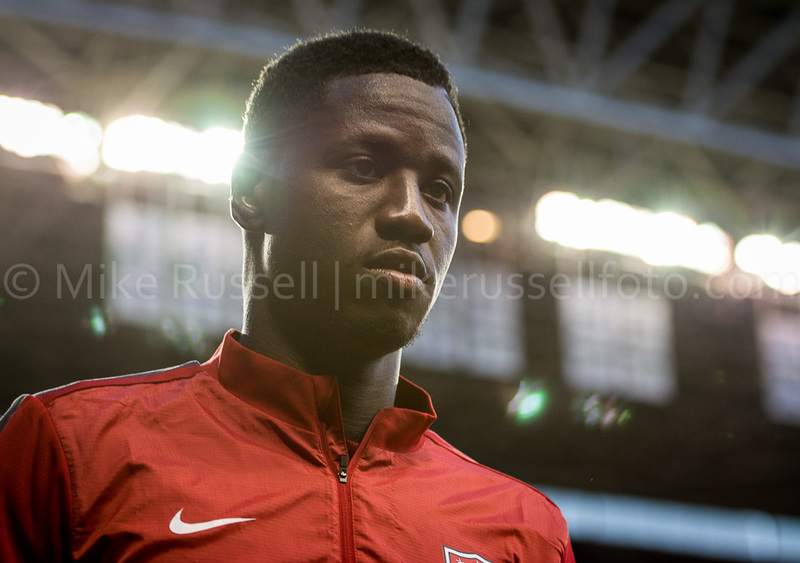 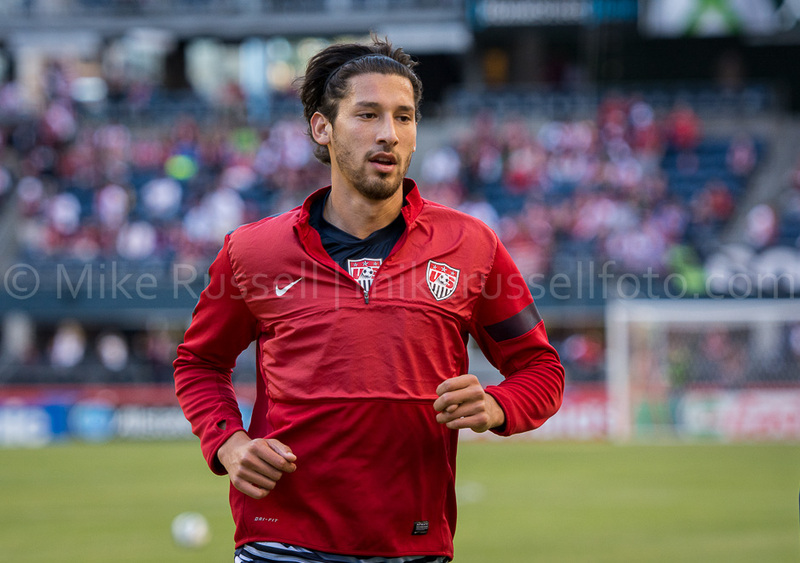 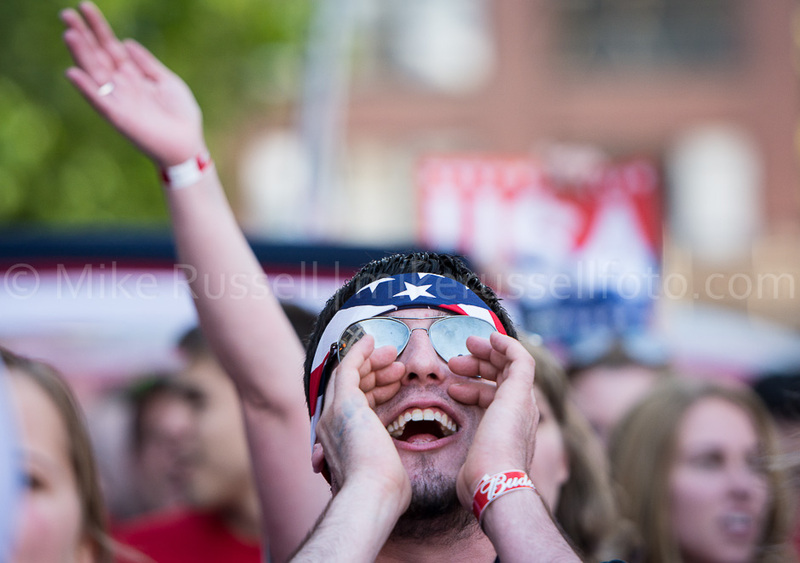 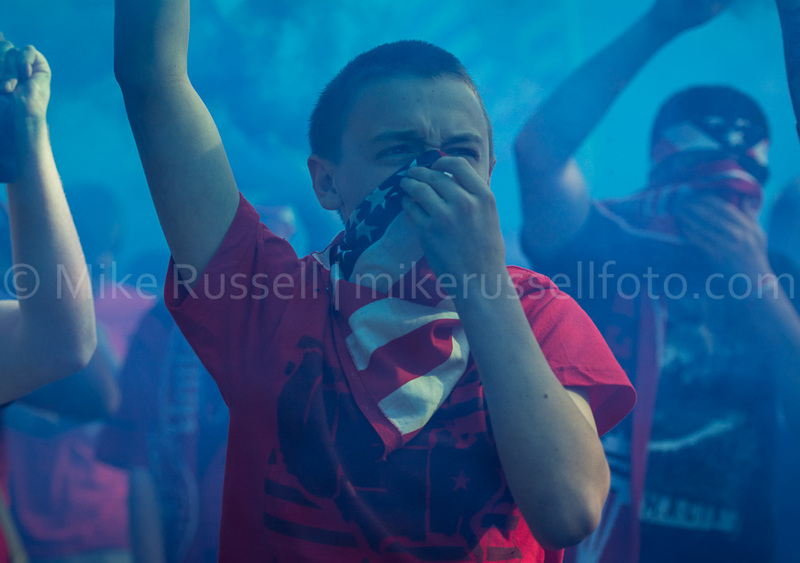 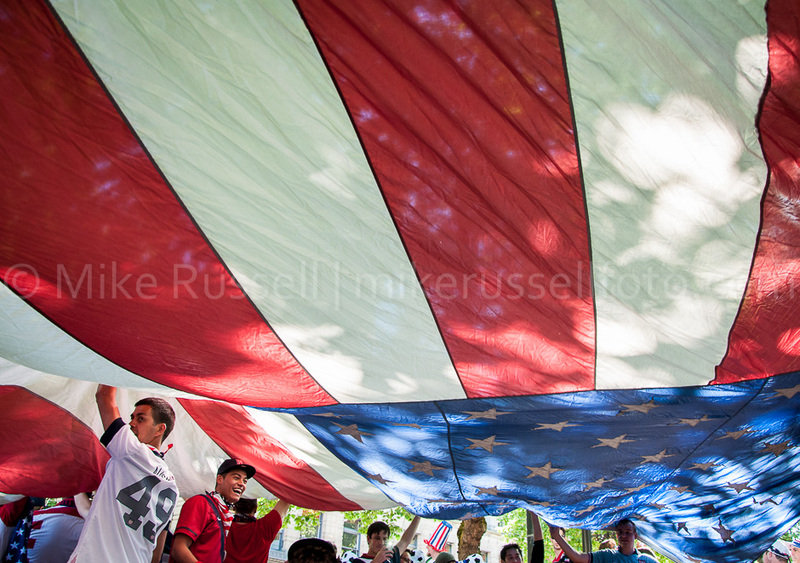 I was there shooting for American Soccer Now. 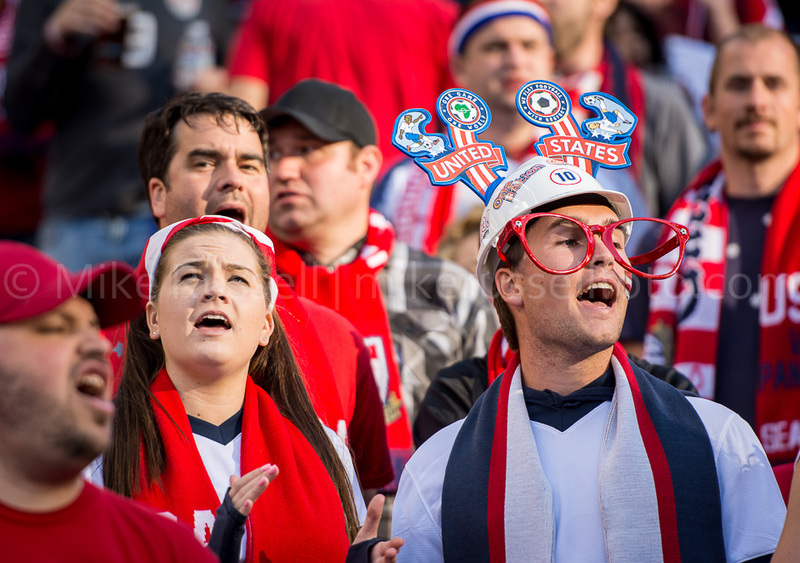 Be sure to check them out for lots of great coverage from the match. 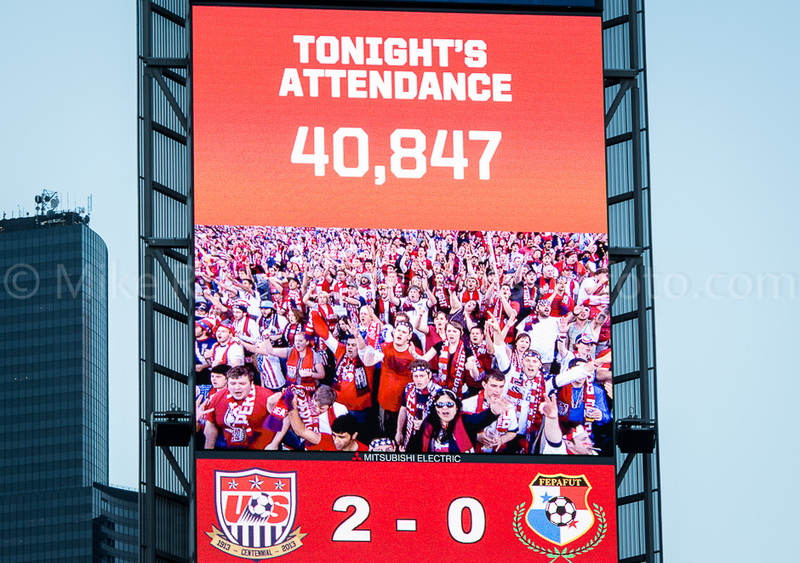 On a personal note, this was definitely a night I’ll never forget. 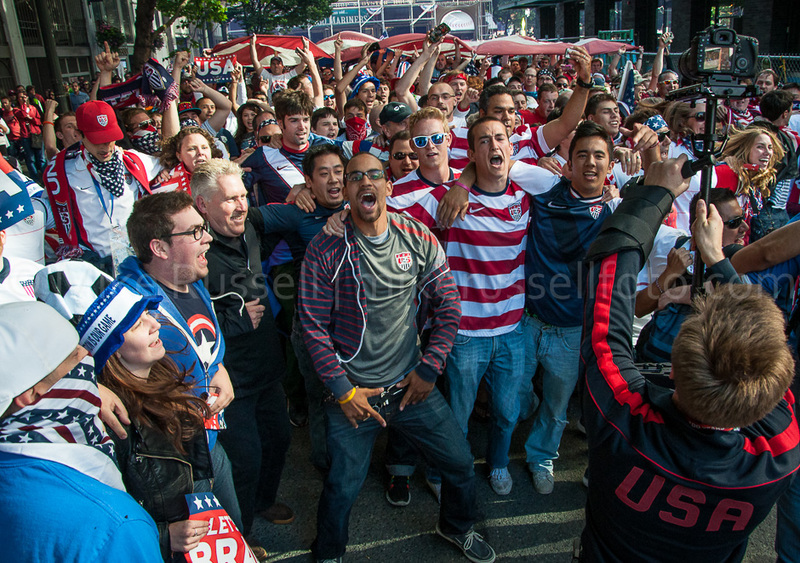 The atmosphere could not have been any better. 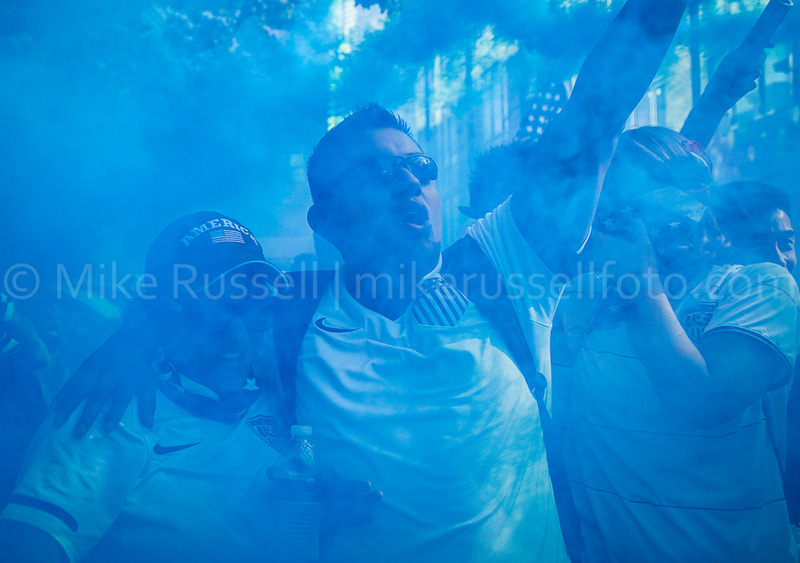 And the match was so much fun to shoot. 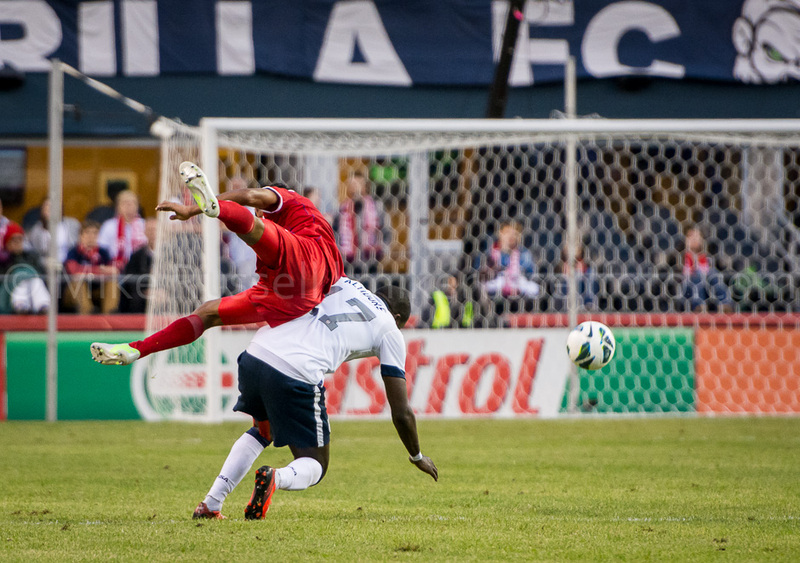 But that’s enough of that. 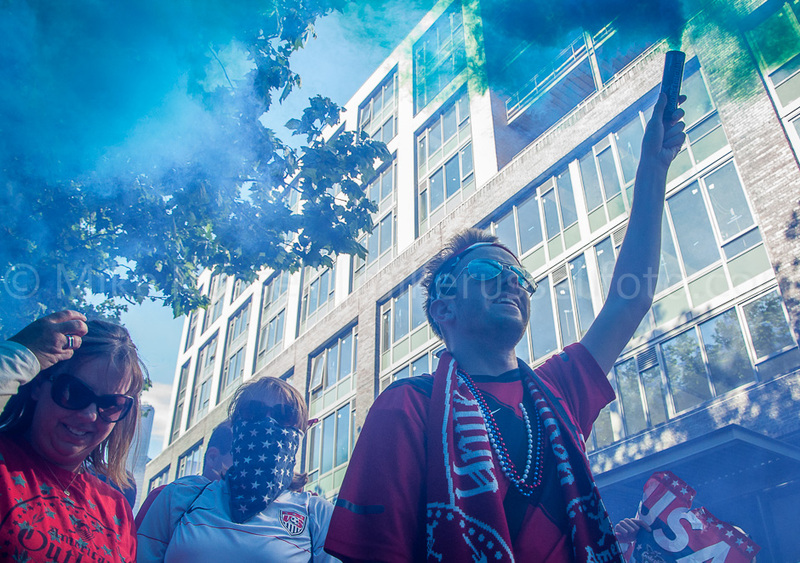 On to the photos! 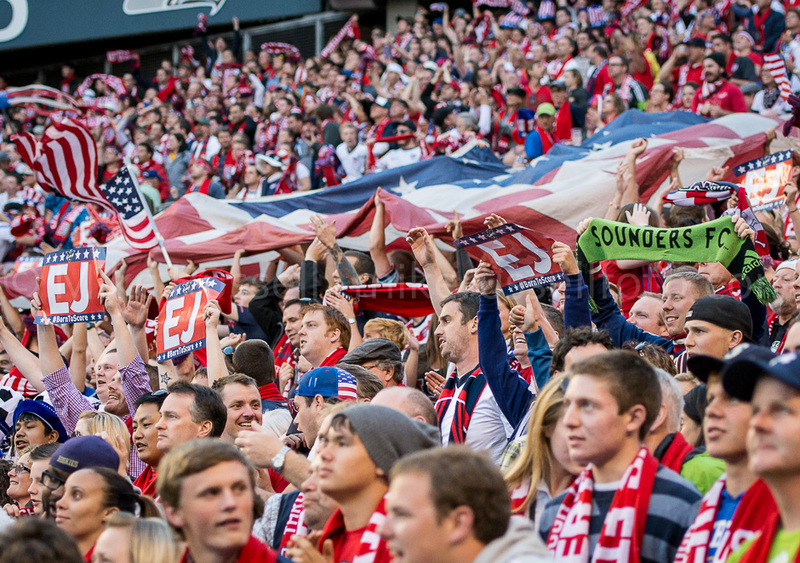 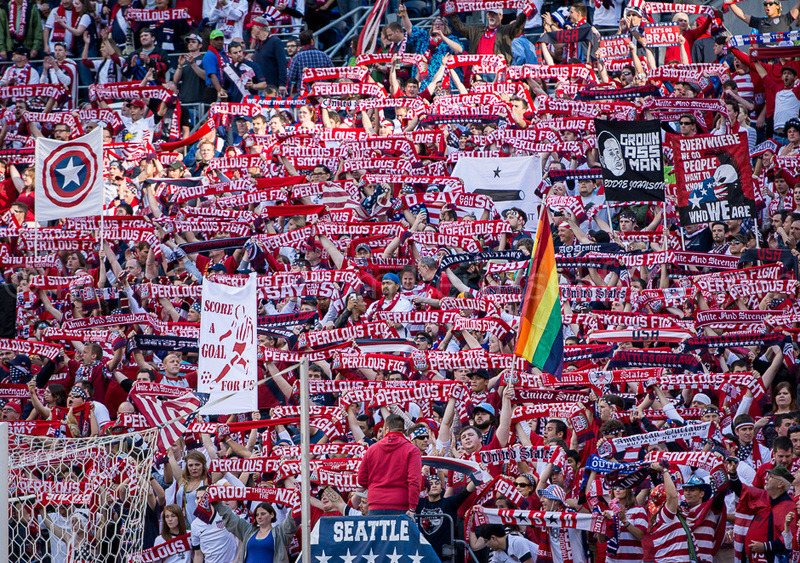 American Outlaws, Brad Evans, CenturyLink Field, Clint Dempsey, DaMarcus Beasley, Eddie Johnson, Fabian Johnson, Geoff Cameron, Joe Corona, Jozy Altidore, Michael Bradley, Mike Russell, mikerussellfoto.com, Omar Gonzalez, photo, photography, seattle, soccer, sports, sports photography, Stuart Holden, tifo, Tim Howard, USMNT, World Cup Qualifier.